You know that much, if not all, of the whisky that I drink for A Wardrobe of Whisky comes from samples. You can’t imagine how hard is to get decent whiskies here in the south of Spain, well.. you can easily get great whiskies like Chivas Regal 12 years old or the all-mighty Johnnie Walker Black Label ( Oh God, Take my live! ). So as you can see most of my experience comes from samples which it is a great way of tasting new malts for a fraction of the price. It is always good news to welcome a new samples bottler, Flaviar, on the arena. But what Flaviar does different from the rest of players? As well as the pack of five 5ml samples you get also some “experts” insights as well as tasting instructions ( quite useful really for newcomers ) and fun trivia games. One thing quite fun is the fact that each pack is theme like “Schnaps of the Alps”, “There were pirates” or “Whisky’s Big in Japan” and they came in a precious little black box. Each of the samples is labelled with the spirit inside and its strength ( note to Flaviar: Blind tastings are usually more fun, just an idea ). My pack was called “Highlanders: There can be only one” and features five Highlands whiskies, some of them tasted some years ago in this blog. So let’s taste the whisky. Palate (90): powerful, oily. honey, barley, vanilla, citrus, pepper, floral. So based on other whiskies I have already tasted I rate this Glengoyne 12 Year Old Highland Single Malt Scotch Whisky with 89 points over 100. Nose (88): more than average. honey, spices, citrus, peaches, cinnamon. Palate (88): smooth, oily. honey, spices, citrus, barley, fruits, peaches, cinnamon. Finish (88): longer than average. honey, spices, wood. So based on other whiskies I have already tasted I rate this Glen Garioch Founders Reserve Highland Single Malt Scotch Whisky with 88 points over 100. Nose (88): more than average. honey, spices, fruits, citrus, chocolate. Palate (88): powerful, oily. honey, citrus, wood, cocoa, spices, oranges. Finish (87): longer than average. honey, wood, cocoa. So based on other whiskies I have already tasted I rate this Dalmore Vintage 2000 with 88 points over 100. Nose (87): more than average. peat, citrus, spices, honey, vanilla, wood. Palate (89): powerful, oily. peat, honey, citrus, wood, vanilla, salt. Finish (89): longer than average. salt, honey, spices. So based on other whiskies I have already tasted I rate this Old Pulteney 2000 Flotilla with 88 points over 100. The Astar bottling from Glenmorangie is a second incarnation of the much-loved Artisan cask bottling from several years ago. A massive dram, with huge spices - a drop of water is the sensible option. Nose (89): average. honey, spices, citrus, floral, nutmeg, pears, wood. Palate (90): powerful, oily. honey, wood, citrus, spices, pears, pepper. 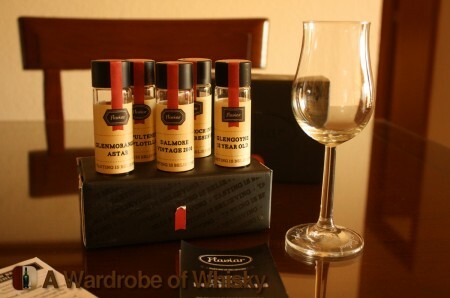 So based on other whiskies I have already tasted I rate this Glenmorangie The AStar with 90 points over 100. Flaviar is a fantastic idea for tasting whiskies on a closed budget and increase your knowledge about Single Malt Whisky & other spirits. 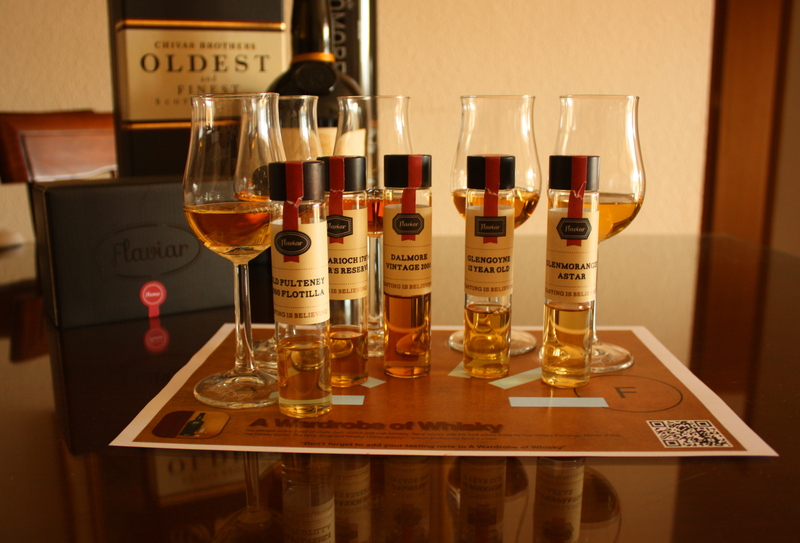 In fact there two of the five whiskies I had no clue what they even existed… So a big thumbs up for Flaviar and its service.